The CorkSport Performance Boost Tube Upgrade is made to get the most out of your 2.5T Mazda at an affordable price. 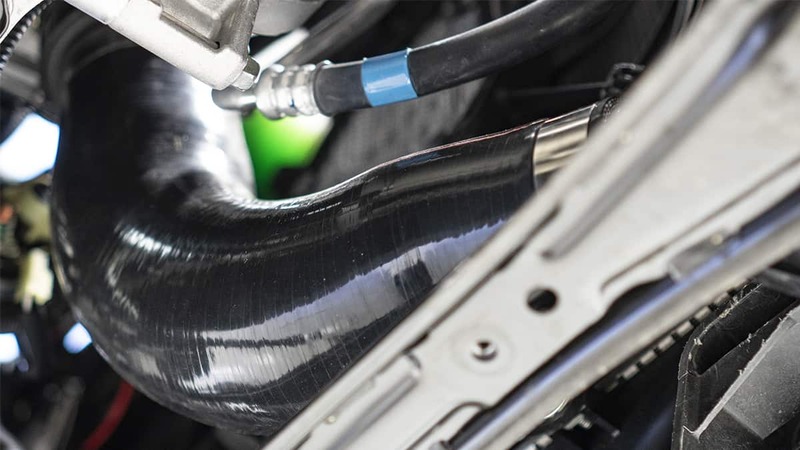 The OEM tube expands 12% at 20psi (peak pressure we have seen at intercooler outlet) when cold, and even more when heated up by the engine due to the use of flexible rubber with 1 layer of reinforcement. This expansion robs your car of consistent boost levels and hurts throttle response. The CS boost tube expands 3x less than OEM when cold and will stay consistently strong at higher temps and elevated boost levels due to its high temp silicone and 5-layers of reinforcement. 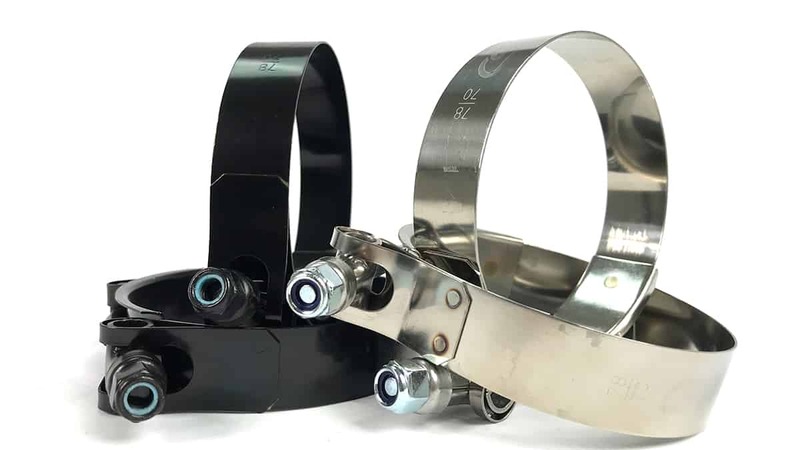 Plus, the larger than OEM diameter provides a large volume of boosted air right before the throttle body, a method proven to improve throttle response on our GEN2 Mazdaspeed3 FMIC kits. 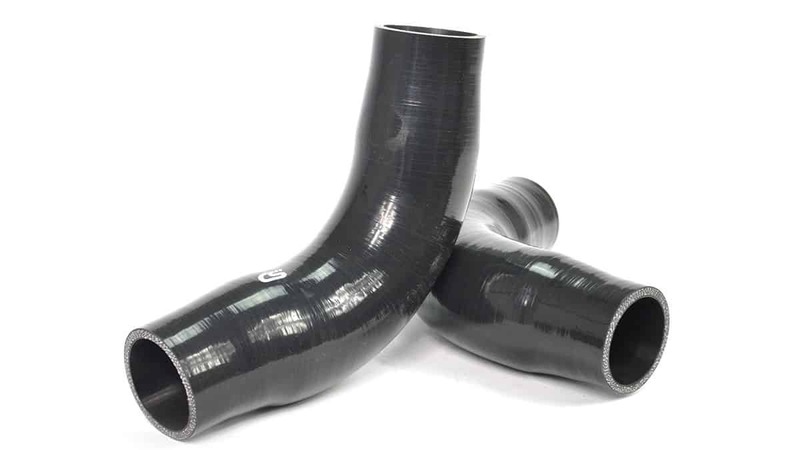 The OEM boost tube is made from very similar if not the same material as the OEM Mazdaspeed boost tubes which were prone to cracking & failure as they age. It’s easy to see the 2.5T having much of the same problem down the road, causing boost leaks and a poorly running car. The CorkSport boost tube eliminates this issue as silicone is longer lasting, stronger, and more resistant to the elements than regular rubber. Plus, if this is the first mod in a build, the CS tube is ready for elevated boost levels that could cause the OEM tube to fail prematurely. Each CorkSport Performance Boost Tube comes with upgraded T-bolt clamps. They offer more secure clamping than the OEM worm gear style clamps and a wider clamping area to ensure a good seal. Plus, they are made from polished stainless steel for a great look and high corrosion resistance. It will take you one hour to install the CorkSport Mazda6 Turbo Boost Tube with our easy-to-use instructions. Check Out the Blogs Related to this Product! The boost tube is definitely a lot heftier than the stock tube. I was surprised how easily you could collapse the OEM one. The install wasn't too bad, but it's very tight for anyone with medium to larger arms/hands. My knuckles, hands & forearms got beaten up during the process. Feels like it may have a little more throttle response, but I haven't done any real hard runs with it yet. I got it for more steady boost levels, and for future proofing...with bigger mods down the road. And for only $90, not a bad mod, IMO. Better build quality than the original. Now they need to just release a turbo inlet pipe and tubing to replace the rest of the factory intercooler piping for those of us who do not wish to buy a new IC nor need one. I could definitely feel the difference in throttle response at lower RPMs. I also have the CorkSport Cat-back Exhaust and Short Ram Intake installed. The OEM is so thin and flexible, I literally hold the end, blow into it and watch it expand. If you’re a guy with bigger arms and hands it is difficult to almost impossible access the Boost Tube location in the engine compartment following the provided instructions. Enlisting the help of a friend who can work in tight spaces could be a big help. Also, my OEM hose clamps were in the worst possible position to loosen them. When I did get a ratchet on them, I only had one click of ratchet movement. I am satisfied with the purchase and I am looking forward to the release of the Front Mount Intercooler Kit.